A mesh of the WW and OoT design. Very slow moving, only attacking Link when they see him and are in range. Bombs and arrows damage it. Fire arrows instantly kill it. Button mashing will get the Redead off. The Boomerang, Hookshot, Ice Arrows, Sea Cog, Shadow Cog, and Magnetic Gloves have no effect on them. The Wind Cog will flip the Redead around, removing you from their line-of-sight. 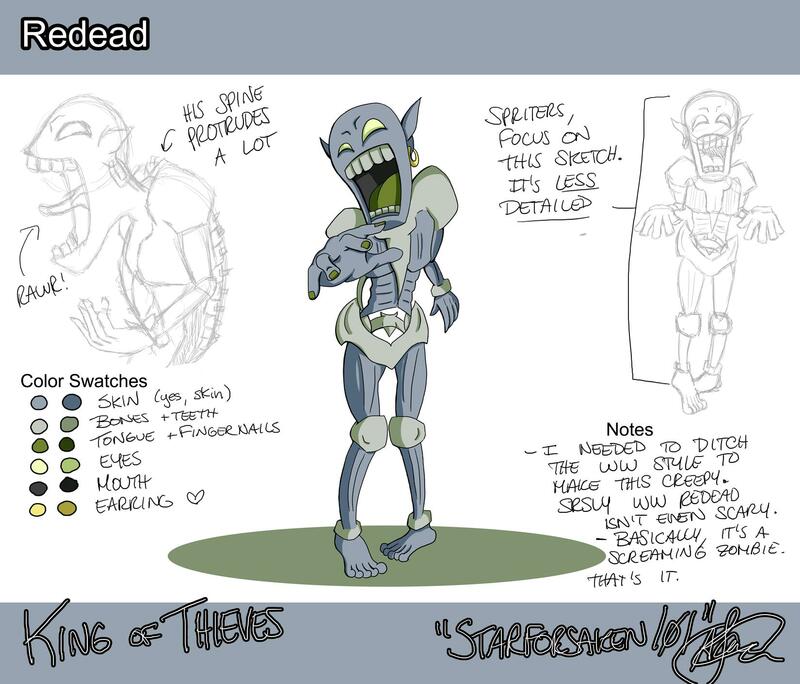 The Earth Cog will block the Redead, removing you from their line-of-sight. Down Thrust and Pursuit Slash deal more damage than a standard sword strike. They attack the Shadow Clone. 0 HP The Redead will screech when close to Link, paralyzing him. It lasts 2 seconds. 1 HP/s The Redead grabs on to Link cursing him reversing their controls. This page was last modified on 13 February 2013, at 13:03. This page has been accessed 2,469 times.